You are currently browsing articles tagged food economics. Food prices hit low income groups hardest in UK but have a much greater impact in the developing world. Professor Richard Tiffin from the University of Reading’s Centre for Food Security explains why. 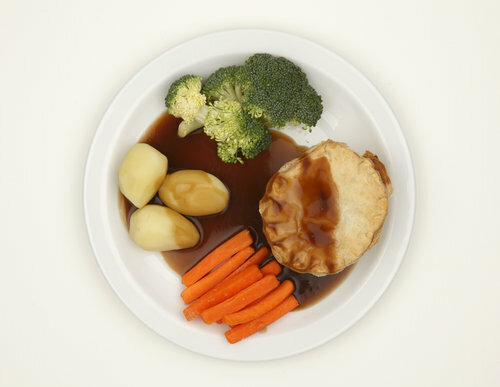 Last week saw the publication of the UK Government’s Family Food Survey for 2011. The report, which for the first time in some years, includes elasticities of demand estimated by our own Centre for Food Security, highlights the impact of an overall 26% increase in the price of the UK’s food between 2007 and 2011. Increases in the price of fruit and lamb of 26% and 55% in that period, for example, have resulted in reduced purchases of 10% and 33%, respectively. It is important to recognise that these price changes do not affect the population evenly. In the UK we spend on average 11% of our income on food. This rises to 17% when we look at the 20% of households with the lowest levels of income. As a result, changes in food purchases are larger amongst low income groups. For example, the reduction in fruit consumption rises to 16% when only low income households are included. Because low income households spend more on food and food prices have increased by more than those of other goods, the inflation rate affecting low income households is higher. Between 2006 and 2009 the inflation rate for the lowest 10% of households by income was over 13%, whilst that for the highest was just over 11%. The difference in the proportion of income spent on food is even starker when considering the picture globally. In Ethiopia, for example, the average household spends 60% of its income on food. In a world where, according to the Food and Agriculture Organisation, the price of food is one and half times higher than in 2000, the impact on these households is clear. Increased expenditure is not an option and all that can be done is to trade-down and reduce food consumption. The factors causing these price rises are complex and include climate change, growth in demand from middle income countries and closer integration between energy and food markets. What is clear however is that the impact on food consumption in the developing world is potentially devastating. As Christmas parties rock to the sound of ‘Do They Know It’s Christmas?’ it is worth reflecting that almost thirty years after Band Aid, we still have a billion hungry people on the planet and a further billion suffering from malnutrition. A famine not dissimilar to that which prompted Bob Geldof into action is unfolding in the Sahel where cereal production is 26% below last year; Chad and Gambia are experiencing 50% reductions. Prices will rise as supply fails to meet demand and as a result more than 16 million people are officially at risk.